WhatsApp has updated an old blog post announcing that some more older phones will soon stop supporting the popular messaging app. However, don’t panic – the list is very small, the phones included are very old, and you’re unlikely to be using one. You can’t create NEW accounts on these, but you CAN continue using WhatsApp on the following until the date shown. I think my phone uses one of these Operating Systems…what do I do? You can check which OS version you are using from the ‘settings’ menu in most phones. If you’re not sure, ask Google how to view the OS on your phone model. If you haven’t updated your phone in a while, you can try to do so. Some very old models no longer support updated operating systems, however – for example old iPhones 3 and 4 cannot be updated because the phone’s cannot handle any changes. 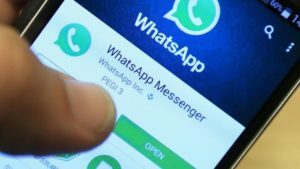 If you can update your operating system to one that is newer than the list above, then you should be able to continue using WhatsApp. However if that isn’t possible, you’ll need to consider investing in a new smartphone. It doesn’t have to be expensive – we recommend the easy-to-use Alcatel U5 to many of our customers – and the money you’ll save on credit for being able to keep using WhatsApp’s free calls and messages will make it worth it!